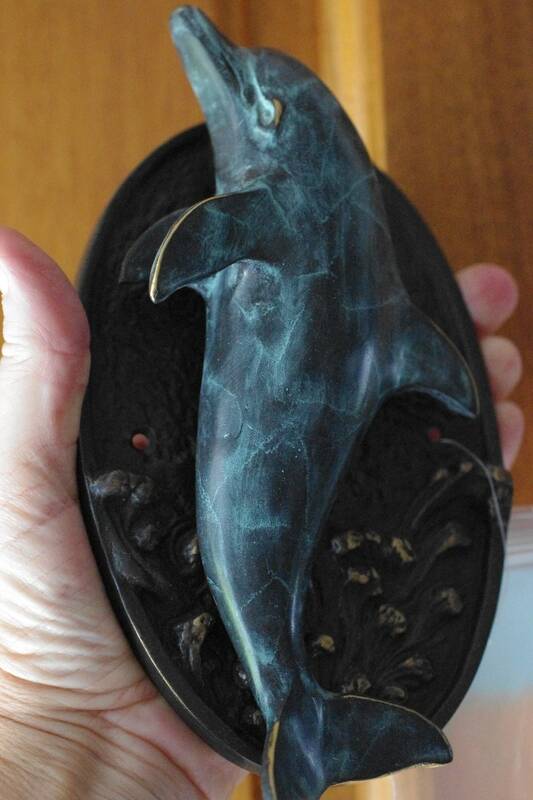 I love this new bronze dolphin door knocker. So sturdy and solid, perfect for your door at your coastal home. The back is bronze with waves splashing. The dolphin has a verdigris look but is bronze. Such a lovely piece. Comes with two screws for mounting.